The Plaintiff-estate filed a wrongful death and survival action as a result of this motor vehicle accident. The Defendant’s tractor-trailer was pulling out from a gas station onto the main thoroughfare. 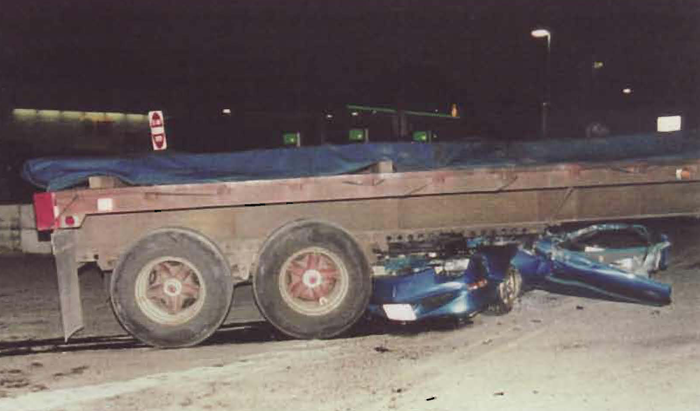 The Plaintiff-decedent impacted with the trailer immediately in front of the left rear tandems. Plaintiff-estate’s economist testified that economic losses for the 35 year-old decedent totaled $1.6 million. After a five-day trial, the jury returned a defense verdict. The Defendant’s tractor-trailer was unable to stop before it ran over the Plaintiffs’ vehicle after the Plaintiff braked suddenly to avoid hitting a deer that jumped onto the road. The Defendant successfully argued that Plaintiffs’ vehicle cut him off without a sufficient clearing distance. Both Plaintiffs were killed and their estates brought suit pursuant to Pennsylvania’s wrongful death and survival statutes. Both Plaintiffs were under 20 years of age, and special damages totaled over $1.6 million.